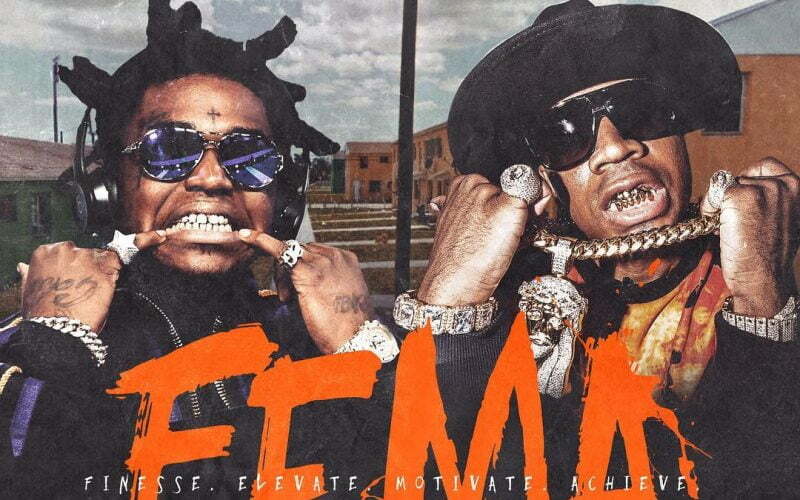 Kodak Black and Plies will be dropping a joint mixtape titled F.E.M.A. sometime today (Tuesday Oct. 31st). The two Florida rappers have been quietly working on the project since around summer and now its finally coming to fruition. The title of the project is Finesse Elevate Motivate Achieve (F.E.M.A.). The project will be revealed at around 7 AM EST on Live Mixtapes and will be available for the fans free. The duo didn’t revealed any additional details like tracklist or the guest list. Kodak Black is still basking in the success of his Project Baby 2 mixtape released in August and there are already whispers that he is working on a full length studio album. Plies, who is a veteran rapper in the Florida rap scene, has teamed up with Black is is more of a newcomer on a few projects. Their joint project Real Hitta was released as recent as earlier this year. Florida hip hop has been seeing a surge this year with a handful of new voices tasting mainstream success including controversial rappers Ski Mask The Slump God and XXXTentacion, as well as, Kodak Black and Denzel Curry. ???? Breaking News Bih: @Plies & @Kodakblack "F.E.M.A" (Joint Project) Available Now Download @ femamixtape.com @mymixtapez Trick Or Treat Bih ? ?????? #Plies #CheckCallin #RealHitta #PurpleHeart? #RanOffOnDaPlugTwice #RitzCarlton?